The spirit of bayanihan flows through our lives every day. But nowhere was it more apparent than recently at Fort Santiago, where a unique event sought to demonstrate what this distinctly local custom truly means to Filipinos today. “Mahal Kita, Future Bayan!” is an initiative by led Museong Pambata, which seeks to inspire younger generations through its powerful visual representation of unity and growth. And in true bayanihan spirit, LBC joined others to showcase how the salient characteristics of this value will continue to drive the country forward. LBC quite literally lends a hand to demonstrate that driving progress and moving a nation forward is anchored on community, cooperation, and celebrating traditional Filipino values. We like to move it—but it’s not just about moving parcels and packages. For LBC, it’s also about contributing to the nation’s progress in any way they can. This initiative especially puts the spotlight on bayanihan and how it can ultimately contribute to the growth of a nation. The event’s vibe was reminiscent of the traditional Filipino fiesta, with volunteers busy entertaining kids from neighboring barangays who joined the festivities. At the center of it all is the Bayanihan Hopping Spirit House. 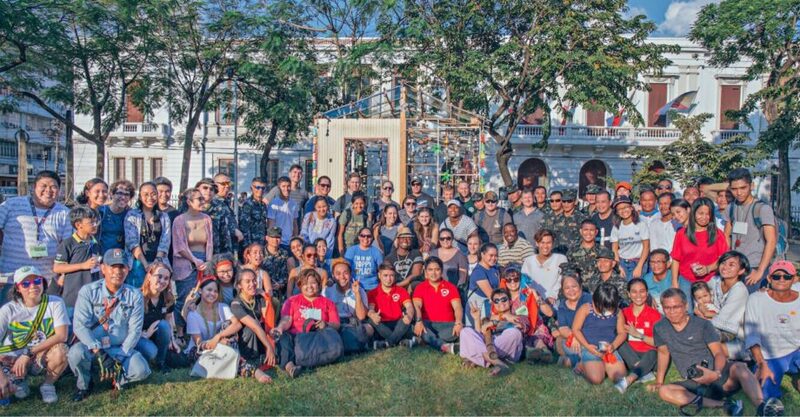 And despite the scorching heat, everyone was in high spirits as they prepared to embark on house’s symbolic journey. 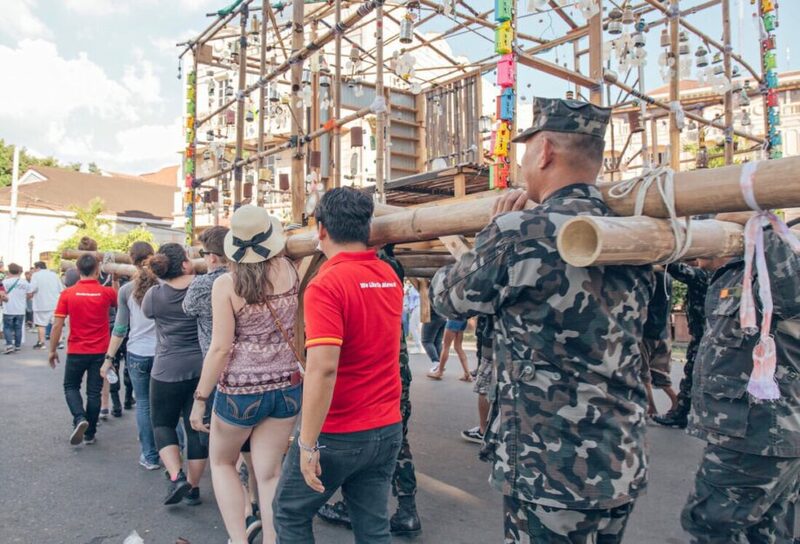 Bayanihan comes home as the Bayanihan Hopping Spirit House arrives in the Philippines, where the concept and values that drive bayanihan originated. 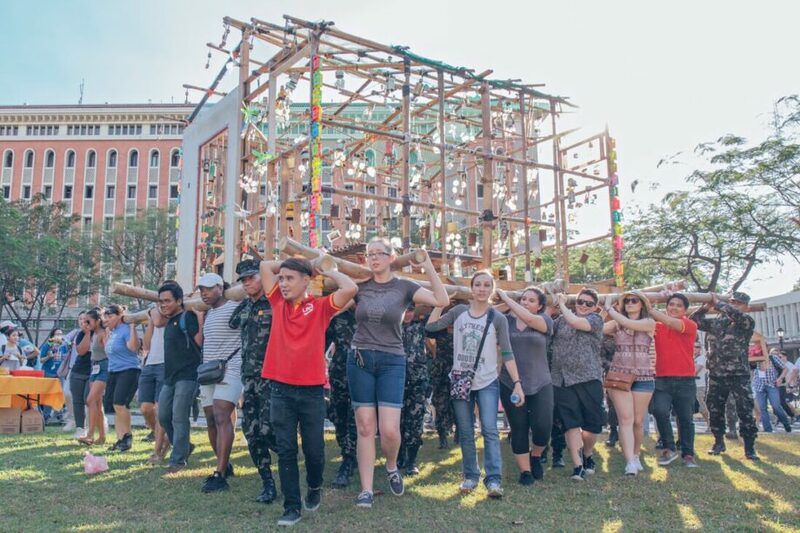 LBC joins a community of volunteers, artists, and representatives who share the same ideals as they symbolically transport the installation from Fort Santiago to Museo Pambata. It’s not surprising that the installation can be interpreted based on its varying contexts. Art is after all, subjective. But Reamillo admits this particular hop—from Fort Santiago to its permanent spot in Museo Pambata—holds more significance. Not only is it drawing attention to the importance of community involvement in this day age, it’s also symbolic of the bayanihan concept finally coming home. “There’s no doubt that values like bayanihan can contribute to a nation’s sense of hope about the future. And for a company like ours, like LBC, who finds joy in moving, it’s important to note that it’s never just about moving packages. It’s about moving hearts and inspiring people to believe that coming together is what this nation needs to continuously move forward amid challenges,” ends Araneta.